Today’s special guest is Stephen Leather to chat with me about his supernatural/occult novel New York Night. During his virtual book tour, Stephen will be awarding a $50 Amazon or Barnes and Noble (winner’s choice) gift card to a lucky randomly drawn winner. To be entered for a chance to win, use the form below. To increase your chances of winning, feel free to visit his other tour stops and enter there, too! Born in Manchester, he began writing full time in 1992. His bestsellers have been translated into fifteen languages. 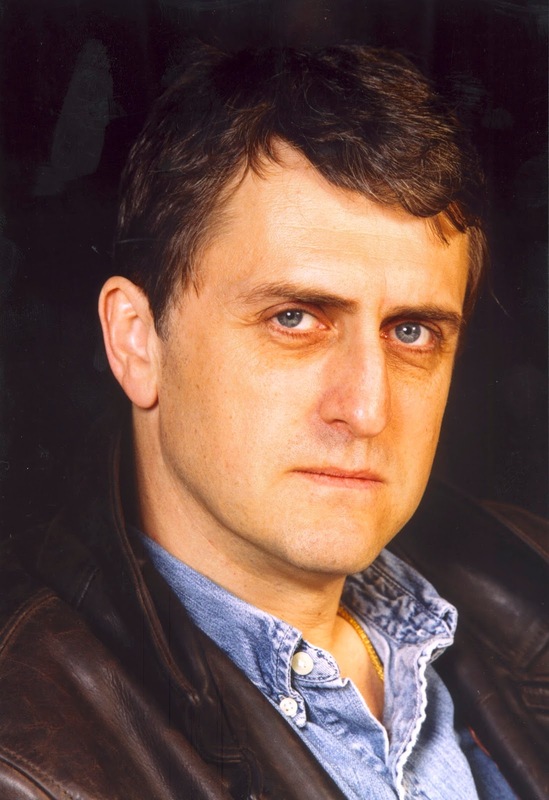 He has also written for television shows such as London's Burning, The Knock and the BBC's Murder in Mind series and two of his books, The Stretch and The Bombmaker, were filmed for TV. Welcome, Stephen. Please share a little bit about your current release. New York Night is the seventh book in the Jack Nightingale supernatural detective series. Nightingale was a cop who was sacked after a man he was interviewing was thrown through a window and fell to his death. No one knew for sure if the man had jumped or if Nightingale had pushed him, but it was the end of his police career. He became a private detective, and just before his thirty-third birthday he is told that his father was a Satanist and that he sold Jack’s soul to a devil. On his birthday, the devil is coming to collect the prize. That’s the first book, in which Jack has to find a way of saving his soul – by the time we get to New York Night he is much more familiar with the supernatural world. He travels from city to city fighting the forces of darkness while keeping his own soul safe. Jack smokes too much (so much so that when I’m writing I feel like having a cigarette even thought I’m not a smoker! He has a good sense of humour and often says things that make me laugh out loud! In New York Night teenagers are being possessed and turning into sadistic murderers. Priests can’t help, nor can psychiatrists. So who is behind the demonic possessions? Jack Nightingale is called in to investigate, and finds his own soul is on the line. I think the original inspiration came from the books of Dennis Wheatley that I used to read when I was kid, coupled with a love of horror movies, especially the films that were showing when I was growing up, like The Exorcist and The Omen. The inspiration for the character Jack Nightingale was partly the Harry Angel character in the 1987 movie Angel Heart, played by Mickey Rourke. 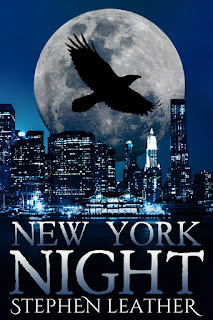 New York Night is the seventh book in the Jack Nightingale supernatural detective series. The first five were published by my UK publisher Hodder and Stoughton and were set in the UK. I am now self-publishing the books and have moved the character to the United States. The first self-published book was San Francisco Night and the next one will be Miami Night. Part of the inspiration for the books now comes from the city where they are set! Horowitz drove them to the crime scene in a grey saloon. Perez sat up front and they chatted about old times for the fifteen minutes it took to get to the apartment building. They parked on the street and Horowitz let them in through a door sandwiched between a delicatessen and a discount shoe shop. The detective walked towards an old-fashioned delivery elevator. He pulled on a length of rope that lifted a wooden panel. Perez stepped in. ‘I’d prefer the stairs,’ said Nightingale. ‘It’s only the third floor,’ said Horowitz. ‘Don’t see you’ve got a choice,’ said Perez. Horowitz pulled the door closed and pressed the button for the third floor. The elevator jerked and Nightingale yelped. Perez grinned as the elevator rattled upwards for almost thirty seconds before it shuddered to a stop. Horowitz opened the door and Nightingale hurried out. Perez followed him and Horowitz closed the door and took out a set of keys to open the door to the apartment. It was long and narrow with floor to ceiling windows to the left and an open-plan kitchen to the right. There was no furniture, just bare wooden floorboards. The sound of the traffic was like a dull throb in the background. Above their heads were black-painted pipes and wiring conduits. ‘Where was the body?’ asked Nightingale. Horowitz took a couple of crime scene photographs from his overcoat pocket, studied them and gestured towards the middle of the room. ‘Can I have a look?’ asked Nightingale, holding out his hand. Nightingale flicked through the photographs. They were all shots of the body, lying face down on the floor. He compared the pictures to the scene one by one, rotating them to match what he was seeing. The girl was face down, her back and legs a mass of cuts. He stared closely at the photographs but there was no way of making out the sigil among all the flayed flesh and blood. I am working on the 13th Dan ‘Spider’ Shepherd book, Dark Forces. Shepherd is up against a Syrian sniper who travels to England to carry out a terrorist atrocity. The ending will take place at a London stadium, packed with people, as Shepherd rushes to stop the sniper. When I worked for the Daily Record in Glasgow and saw my byline in a major newspaper for the first time. I really enjoyed being a journalist and getting my work in print. My first big book was The Chinaman and I did get a kick out of seeing that on the shelves in various bookshelves, but I thought of myself as a writer long before then. Yes, I have been a full-time writer for about twenty-five years, and before that I was a journalist for ten years on newspapers like the Glasgow Herald, the Daily Mirror, the Daily Mail, The Times and the South China Morning Post in Hong Kong. I try to write every day, usually in the evenings and late into the night. I have never been a morning person. Early afternoons I tend to do admin work, tidying my websites, posting on Facebook and responding to emails. I am one of Amazon’s most successful self-publishers and that takes up a lot of time – editing, formatting, arranging covers, correcting errors that readers have spotted. Busy, busy, busy! When I’m finishing a book (as I am now) I go into overdrive and write for more than 12 hours a day, often as much as 4,000 words. I sit in front of the TV with my Mac on a coffee table. I watch TV as I write and always have done. I did most of my homework at school and university with the TV on, and most of my working life was spent in busy newspaper offices so I need a buzz around me as I work. Working with the TV on helps when I need to describe a character’s clothing and the credits are always a good source of names! I drink a cup of coffee pretty much every half hour and my cat (one of three) Peanut Butter sits on the sofa next to me to keep me company. A writer. Or a superhero. Please continue reading, and wherever possible support your local library. Almost all my reading when I was a child came from the local library and it worries me how much pressure libraries are under these days. You can find out more from Stephen's website and you can follow him on Twitter and Facebook. Jack Nightingale has his own website at www.jacknightingale.com. You can buy New York Night on Amazon, Kobo, iBooks, and at Smashwords. Thank you for being a guest on my blog today, Stephen! Thanks for having me on your wonderful blog, Lisa! Fascinating excerpt. Sounds like a great mystery. I really enjoyed reading the excerpt and the interview! This book sounds like such an exciting, interesting, and intriguing read! Can't wait to read this book!